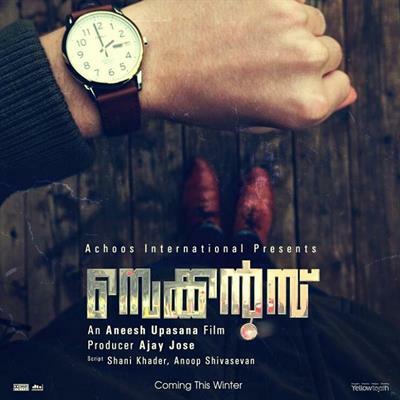 Seconds malayalam movie directed by Aneesh Upasana will have Jayasurya and Bhama in lead. The movie will be produced by Ajay Jose under the banner Achoos International. Scripted by Shani Khader and Anoop Sivasevan, the shooting of the movie would go on floor in September at Kochi. Salim Kumar, Vinay Fort, Indrans and Aparana Gopinath would give life to other prominent characters in the movie. Read more to know about Seconds. Popular fashion photographer Aneesh Upasana who made name with his directorial debut with Matinee is gearing up to continue the success journey with his next venture. Titled 'Seconds', the movie will have heartthrob Jayasurya and Bhama in lead. The movie will be produced by Ajay Jose under the banner Achoos International. Salim Kumar, Vinay Fort, Indrans and Aparana Gopinath would give life to other prominent characters in the movie. The story revolves around the life of a Brahmin donned by Jayasurya. He plays the role of an LIC agent. Bhama would be seen in the character role of Jayasurya's wife. As all the characters have equal importance, actors will be getting ample chance to show their acting skills on the silver screen. Vinay Forrt will give life to a studio owner while Aparna Gopinath is all set to play the role of sales girl. For a reason all the characters in the movie had to meet at a certain place which takes the story to the next phase. Weaved with suspense and thrills, various incidents would keep the audience intact. To give an international look to this thriller, the movie will be shot with the help of two cameras. Suresh Raj stays behind the camera as the cinematographer. Scripted by Shani Khader and Anoop Sivasevan, the movie would go on floor during mid September with main locations set at Kochi. Jayasurya had shared screen space with Bhama in movies like Evar Vivahitharayaal and Janapriyan. The on screen chemistry show but the pair in both movies got much appreciation. So much expectations is on their upcoming movie 'Seconds' too. Jayasurya and Bhama are busy with their own projects. Young actor Jayasurya after receiving mixed response for his recent movie 'Thank You' has currently joined the sets of 'Punyalan Agarbattis' directed by Ranjith Sankar.